Hair is an important beauty aspect in any individual, especially women. Every woman aspires of having long, thick, shiny, healthy hair. With growing hustle and bustle in our fast paced life have also grown hair problems like Dandruff, hair fall, premature graying of hair, etc. 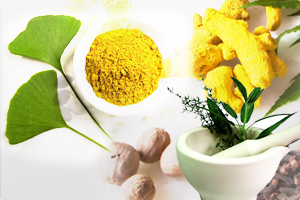 We shall now know about herbal remedies for some hair ailments and its root causes. Lack of hygienic conditions, over exposure to sun, dry and dusty surroundings, frequent use of chemically loaded shampoos can cause Dandruff, dull and damaged hair. Regular application of pure coconut oil or medicated hair oil decreases dandruff significantly. Gently massage the scalp after oiling it increases blood circulation to the scalp and hair follicles which also helps in preventing hair fall. 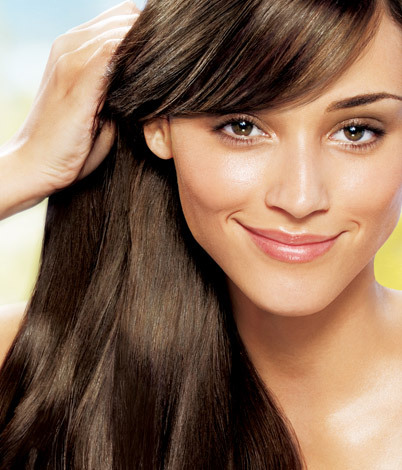 Always leave the oil on head overnight, Avoid washing hair immediately after oiling them. Application of paste of Triphala powder with water over the scalp reduces dandruff. Changing food culture like fast food, salted chips, Chinese food, pizza, burgers etc which provide very low nutritional value and on the other hand strict diet results in lack of nourishment of body and ultimately hair is the main cause for dull, damaged hair and hair fall. Indigestion, acidity of long duration also affects hair and this needs to be treated first. Similarly skin diseases of scalp, stress should not be ignored. Avoid washing hair with hot water, it damages hair. Include food which provides good nourishment to body, such as milk, ghee, coconut, coconut milk, fruit juices, raw vegetables and fruits, etc. Aloe vera heals the scalp, and also cleanses the pores. Aloe vera gel mixed with coconut milk when applied to scalp reduces hair fall and dandruff. Drink adequate amount of plain water, or water mixed with shatavari kalpa. Oil medicated with Amla (Indian gooseberry), Brahmi, Bhringaraj (ecliptus alba) or Almond oil should be used for head massage and application on hair, this prevents hair fall and premature graying of hair. Soak 2 Almonds water the previous night and eat it early in the morning. Include fresh Amla juice or amla pieces in diet whenever possible. Mixture of amla powder, ecliptus alba and glycerhizza glabra taken twice a day serves as hair tonic. Henna powder, shikakai powder with lime juice is a good natural conditioner. Leave it in iron vessel overnight before using and add 1 tsp amla, bibhitak (Terminalia belerica) and bhringaraj powder prevents premature graying of hair along with hair conditioning. Therapies like Nasya, Shiro abhyanga, Shirobasti, Shirodhara relieves stress, provides nourishment, prevents premature graying of hair, repairs damaged hair and also reduces hair loss to greater extent. Nasya : Drops of medicated oil / ghee or fresh juice is instilled in nostrils. The medicine instilled in this therapy acts directly on brain and head region and proves beneficial in hair ailments.This procedure can be done very easily at home and on regular basis. Ghee or oil medicated with yastimadhu (Glycerhizza glabra), or Brahmi can be used. You can also instill few drops of pure ghee into the nostrils. Shirodhara and Shirobasti are equally beneficial but have to be done in a clinical setup. This entry was posted in Ayurveda, Hair and tagged hair treatment in ayurveda, healthy hair, treatment for dandruff. Bookmark the permalink.